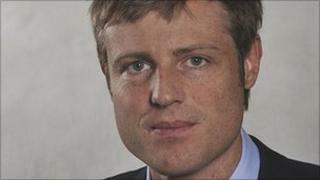 Tory MP Zac Goldsmith will not be reported to police over allegations related to his election spending, the Electoral Commission has announced. But the watchdog said it was concerned about the way in which the millionaire MP's team filled out spending returns for his general election bid. Mr Goldsmith won the London seat of Richmond Park in the May election. "We are delighted to have been vindicated as we always knew we would be," Mr Goldsmith said. The commission's inquiry was triggered by an investigation by Channel 4 News and the Bureau of Investigative Journalism (BIJ) in July which raised concerns over the politician's spending on items such as leaflets, signs, and jackets. In a case review, the watchdog found Mr Goldsmith may have under-reported his spending in the final weeks before polling day - the so-called "short campaign" - by at least £1,185. This would have resulted in an overspend of £966 during this period, the commission said. But it found that even if this were the case, his overall spending was well under the £39,856 total allowed during the overall campaign. The return submitted by Mr Goldsmith's election agent David Newman was "unclear in places", the watchdog found. And the way in which some costs were shared between the general election campaign and a concurrent local council contest was "not consistent with the Commission's guidance or good practice", it added. But the watchdog found no evidence of intentional rule-breaking and decided it would be inappropriate to refer the case to the police for investigation. "We've looked carefully at all the evidence and we don't believe it would be in the public interest to refer this case to the police for criminal investigation," said Electoral Commission's Lisa Klein. Mr Goldsmith said: "We welcome the fact that it has stated clearly what we always knew - that our total election expenditure across the whole campaign was several thousand pounds less than the prescribed limit."